The Sims 4 is selling packs like hot cakes! According to SuperData, The Sims 4 Seasons Expansion Pack had a very successful launch as it managed to sell around 800,000 copies in June 2018! The Sims 4 is still going as strong as ever. We estimate that over 800,000 PC players purchased the new “Seasons” expansion for The Sims 4 in June, making it the game’s second-most successful expansion after November’s “Cats and Dogs”. This is especially impressive considering The Sims 4 is approaching its fourth year. There isn’t an exact report on how much copies of Cats & Dogs Expansion Pack were sold back in November 2017. 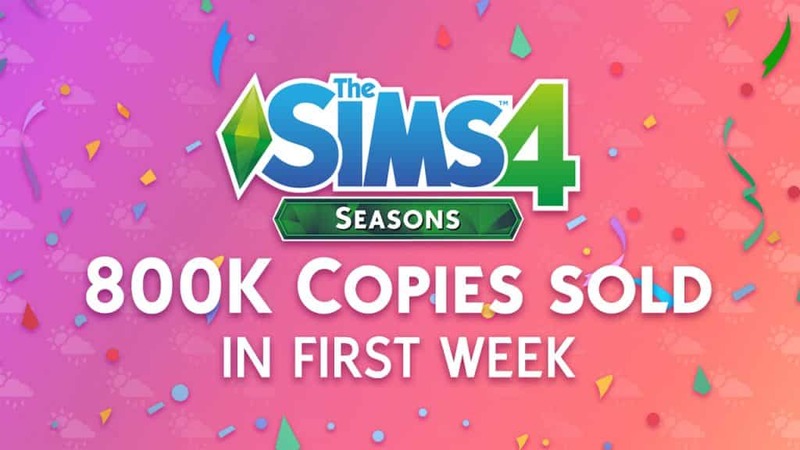 However, considering that Seasons only had 8 days after its launch on June 22nd, selling 800 thousand copies for such a short period of time is a huge success. Wow! I hadn’t expected that’s! well I personally love seasons.